HOUGHTON -- Returning to its long record of first place Winter Carnival wins (after a second place last year), the Phi Kappa Tau fraternity in Hancock captured overall first place in the 2019 Winter Carnival month-long statue competition. This year's theme is "Years of Innovation STEM from this Snowy Situation." Second place in the overall division went to last year's winner, Tau Kappa Epsilon, for "In Frigid Fields Carved From Snow, A Nation's Progress Has yet to be Slow." Third place again this year went to Delta Sigma Phi's "Paradigm Shifts in These Snowy Drifts." In the Women's Division, Alpha Sigma Tau grabbed the top spot with "Ford Frozen in Time." Second place went to Theta Chi Epsilon for "Women of the Past Who Proved the Possibilities are Vast," while last year's women's division winner, Delta Phi Epsilon, took third place. The team of Alpha Gamma Delta and Sigma Tau took first place in the Co-Ed Division with "The Kennedy Space Center." They were followed by Delta Zeta and Delta Upsilon in second place for "Magic School Bus." Third place in the Co-Ed Division went to the Four Wheelers of Michigan Tech for "Parking Garage." For the third straight year, St. Albert the Great University Parish was the overall winner in the All-Nighter competition. They also took the top spot in the Co-Ed Division. Construction in the division began at 4 p.m. Wednesday and ended at 9 a.m. Thursday. The Society of Women Engineers placed second overall and best among the Women's Division, while the Lutheran Collegians, competing in the Co-Ed Division, took third place overall. Treehouse took the top spot in the Men's Division of the All-Nighter competition, followed by Sleepy Hollow and More in second, and Toll House in third. Phi Delta Chi was runner-up in the Women's Division and Pavlis Honors College was awarded third place in the Co-Ed Division. Click here for complete results and photos of winners. Click here to see more photos of the snow statues. 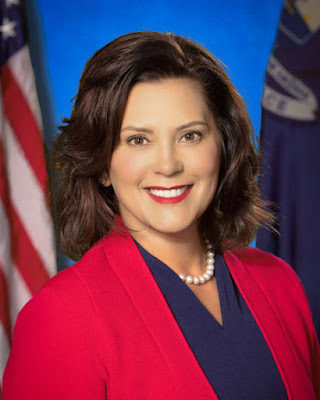 LANSING -- On Feb. 6, 2019, Michigan Governor Gretchen Whitmer held a brief media availability after House Republicans voted against her executive order to protect the Great Lakes and clean up Michigan's drinking water. To watch the press conference, click here. In a Feb. 6, 2019, letter Governor Whitmer requested a legal opinion from Attorney General Dana Nessel regarding the legality of the Environmental Rules Review Committee and the Environmental Permit Review Commission (introduced in Senate Bills 652 and 653, which became Public Acts 267 and 268 on June 28, 2018, under the Snyder administration). "From high lead levels to PFAS contamination to foul-smelling emissions, the people of Michigan have faced increasing threats to our drinking water, air, the Great Lakes, and our overall public health," said Whitmer. "These commissions create unnecessary bureaucratic hurdles that get in the way of our state government responding to problems with drinking water quickly, and their creation may violate federal requirements under the Clean Air Act and Clean Water Act. I look forward to hearing from Attorney General Nessel as we work to resolve this issue and ensure every community has clean, safe drinking water." Editor's Note: See this recent article in Bridge Magazine: "Michigan Republicans move to block Gov. Whitmer’s environmental overhaul." The Michigan Senate may also vote on the House Resolution against Whitmer's EO 2019-2. The Michigan League of Conservation Voters urges citizens to contact their state senator by using this form. LANSING -- On Monday, Feb. 4, Governor Gretchen Whitmer signed two executive orders and one executive directive to protect the Great Lakes, clean up our drinking water, and combat the impacts of climate change. Today, however, state legislators threaten to overturn her efforts. "This is about finding real solutions to clean up our drinking water so every Michigander can bathe their kids and give them a glass of water at the dinner table safely," said Whitmer. "We have a chance to build a system that really works so we can protect our water and improve public health. We’ve also got to take action to protect our state from the effects of climate change. The science is in, and it’s time we get to work to mitigate the impact of climate change for the sake of our kids and future generations in Michigan." 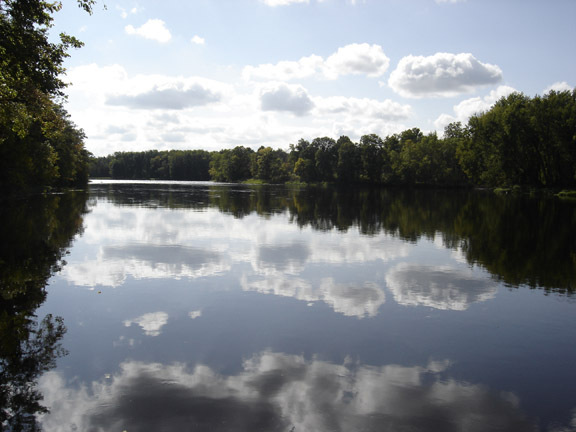 Liesl Clark, who will serve as Director of EGLE, agreed that these executive orders mean the State of Michigan will be more responsive to protecting drinking water and the environment. "By creating offices like the Clean Water Public Advocate, we can get to work solving the problems that dozens of communities are facing with their drinking water," Clark said. "I’m ready to roll up my sleeves and get to work with Governor Whitmer to protect Pure Michigan and strengthen our economy." This executive order will make state government more efficient, responsive and effective by transferring duties related to process improvement and good government to the Department of Technology, Management and Budget (DTMB). "DTMB is committed to developing and supporting meaningful process improvement and risk management tools across the state to make government more efficient and accountable," said DTMB Director Tricia Foster. "I look forward to working with all departments to enact Governor Whitmer’s vision of a more responsive and effective state government here in Michigan." "It’s great to see the Whitmer administration following through on their campaign promises and making a concerted effort to protect the health of Michigan’s people and environment," said Michigan Environmental Council (MEC) Policy Director James Clift. "We hope this reorganization will return Michigan to a leadership position in protecting our residents." "We commend Governor Whitmer for eliminating these undemocratic rule and permit panels," said Clift. "The removal of these committees puts the control of Michigan’s environmental protections back where it should have been all along, into the hands of elected officials who can be held accountable by voters." MEC also commented on the directives creating offices of an environmental justice public advocate and drinking water public advocate to investigate complaints. "An environmental justice public advocate and drinking water public advocate establishes accountability that has been sorely lacking in our state government and will allow the new environmental department to be more responsive to the concerns and needs of impacted communities," said Michigan Environmental Council Community Engagement Director Sandra Turner-Handy. "Minority and low income communities across our state are disproportionately impacted by environmental degradation, and we thank the Whitmer administration for addressing some of the recommendations put forth by the 2017 Environmental Justice Work Group, and taking step towards preventing another environmental crisis from impacting the health of Michigan residents in the future." MEC also praised Governor Whitmer for addressing climate change by creating an Office of Energy and Climate Change and pledging to keep Michigan committed to the Paris Climate Agreement to reduce carbon emissions in order to limit the rise in global temperature to 1.5 degrees Celsius. UPDATE: The Michigan Environmental Council today, Feb. 6, announced their awareness that the state legislature is trying to stop an executive order that will help protect the health of Michigan's people and environment. MEC asks citizens to email their state legislator and ask him/her to vote no on the resolution that would overturn Executive Order 2019-2 issued by Governor Whitmer on Monday, February 4. Click here for a form to help you take this action. On Feb. 4 the Michigan League of Conservation Voters (LCV) applauded Governor's Whitmer's announcement; and today, Feb. 6, Michigan LCV called on state lawmakers to support, not block, her recent executive order that restructures the Department of Environmental Quality to better protect our air, land and water. On Feb. 4, Lisa Wozniak, executive director of the Michigan LCV, said, "Today’s announcement is a step toward ensuring Michigan cleans up toxic contamination in our drinking water, addresses climate change head-on, and is a regional leader in creating the jobs of the future." However, on Feb. 6, warning that the Michigan House and Senate are poised to vote to overturn Governor Whitmer's Executive Order 2019-2 that reorganized the DEQ and dissolved the "Fox in the Henhouse" polluter panels, Wozniak said, "We need swift action to promote clean water, not legislative delays, political games or additional layers of bureaucracy. We urge the state Legislature to support and work with Gov. Whitmer to ensure state government can protect our water, Great Lakes and the health of Michigan citizens." According to a Feb. 6 article posted this morning on MLive.com, "The legislature has 60 days from the signing of the order to decide whether to overturn it. * See "Lawmakers may overturn Whitmer plan to restructure DEQ" on today's MLive.com. LANSING -- The Michigan Department of Environmental Quality (MDEQ), Oil, Gas, and Minerals Division (OGMD), announces a COMMENT DEADLINE EXTENSION to 5 p.m. on Friday, Feb. 15, 2019, for Back Forty Project, Mining Permit Amendment Request (MP 01 2016). The Back Forty Project is in Lake Township, Menominee County. The extension is due to the holidays and computer operating system problems which caused difficulties in accessing the Back Forty Mining Permit Amendment Materials. MDEQ will accept written comments regarding the amendment application by mail or e-mail. Mail your comments to Back Forty Mining Permit Amendment, MDEQ-OGMD, 1504 West Washington Street, Marquette, MI 49855. E-mail your comments to the designated MDEQ mailbox at DEQ-Mining-Comments@michigan.gov -- including "Back Forty Mining Permit Amendment" as the subject. The MDEQ will only consider comments that pertain to the Mining Permit Amendment Application prior to making a final decision. For additional information, contact Melanie Humphrey, MDEQ, Oil, Gas, and Minerals Division, 906-250-7564, or e-mail humphreym@michigan.gov. The Mining Permit Application Amendment documents may be accessed HERE. Once you are in the FTP site, select the "Mining" directory, then select the "Back Forty project." It is recommended that you use Internet Explorer as the web browser in order to properly access these files. Editor's Note: A formal public meeting with testimonies on the proposed mining permit amendment was held on Jan. 9, 2019, at Stephenson High School, Stephenson, Mich. Click here for our report on that meeting with videos and photos of testimonials from the public, many of whom requested an extension to the comment period in order to access and read the lengthy documents posted by MDEQ.